Celebrities and marriages don't seem to have a sweet relationship. If we give examples of celebrities with failed marriages, the list will be never-ending. Similar is the story of American actress and writer Afton Smith. Smith didn’t have a great career, and it seems like no odds were on Smith’s side as her married life also became sour. 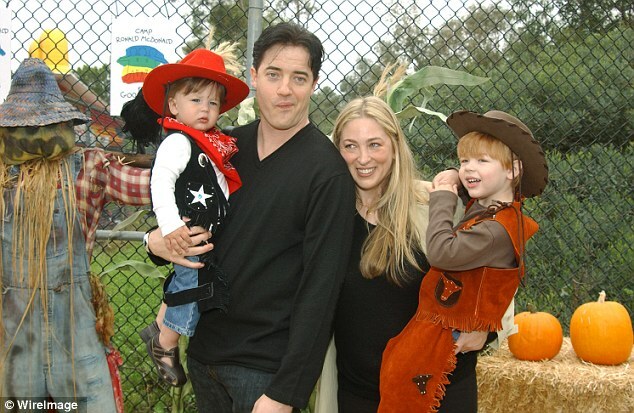 The relationship between Afton Smith and Brendan Fraser was one of the most hyped up marital relationships in Hollywood. Likewise, their divorce also happened to be the most attention seeking. Smith and Fraser met for the first time on the 4th July 1993 in Winona Ryder’s house. The pair dated for four incredible years before taking the big decision in their life. They exchanged vows on 27th September 1998. Their wedding ceremony took place in the garden of Bel Air Hotel, Los Angeles. On 17th September 2002, Smith got the privilege of becoming a mother for the first time as she gave birth to her eldest son Griffin Arthur Fraser. Eventually, on 16th August 2004, her second son, Holden Fletcher Fraser was born. Smith and Fraser later welcomed their third son Leland Francis Fraser on 2nd May 2006. It seemed like the couple was going the right direction until some unfortunate events changed their way of life. Although it seemed like the pair’s relationship was going great to the outsiders, things turned sour between them. The news about the pair’s decision to split came out in December 2007 after their home in Beverly Hills, California got sold for $3 million in April 2007. You might not believe, but Smith demanded $900,000 per year in child support when the divorce was filed. However, Fraser agreed to pay only $300,000. Later, in 2013, the Mummy star filed a plea asking the court to reduce $50,000 alimony he was obliged to pay and reasoned that he was not getting enough projects and acting jobs like he used to get in the '90s. Shortly after that, Afton accused him of hiding money claiming he was earning enough to continue the alimony payments. She even stated that the alimony could be reduced only after his earning is less than $3 million a year. Did Afton Smith get married again? Since Smith hasn’t married anyone after her divorce with Fraser, it is accused that she didn’t do so because she would have lost the alimony. However, it is not just about marriages. Smith’s name hasn’t been linked with any other man before and after her split with Fraser which makes us conclude that she doesn’t have any past affairs and she isn’t dating anyone either. Although Smith couldn’t be an ideal wife, it seems like she is a great mother. She is raising three kids on her own. If you are a mother, you might know that it is not an easy job. It seems like Smith got involved so much in her children that she didn’t have much time to seek dates and fall in love. For more updates stay tuned to Frostsnow.